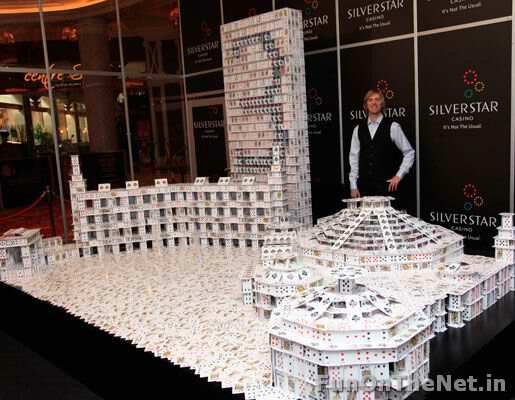 Berg continues to break his own world records with his intricate and sensational designs. 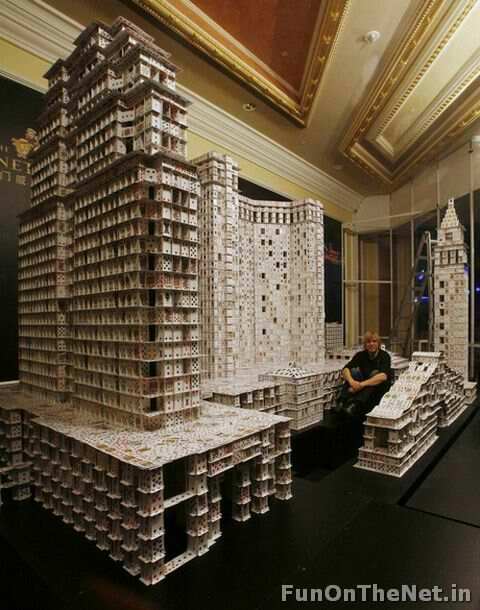 Based in Iowa, he cut his first stack of cards at the tender age of 8. 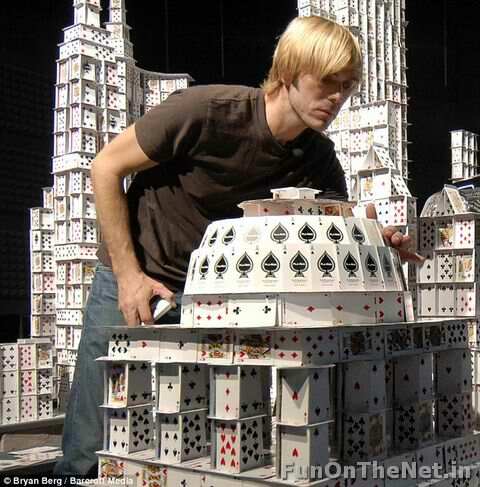 Bryan holds a Professional Degree in Architecture and a Design Achievement Award from Iowa State University and a Masters in Design Studies from Harvard. 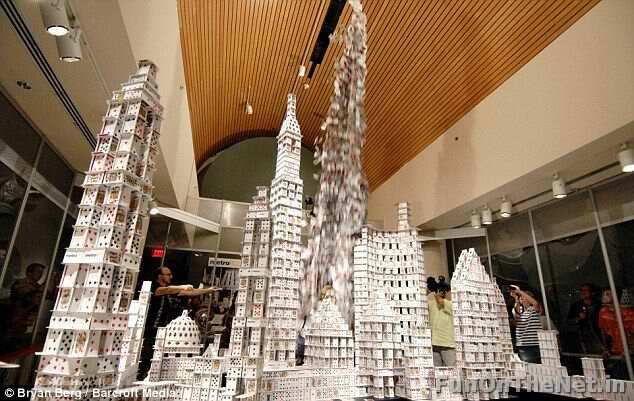 He proved to the world his extraordinary skill of art. 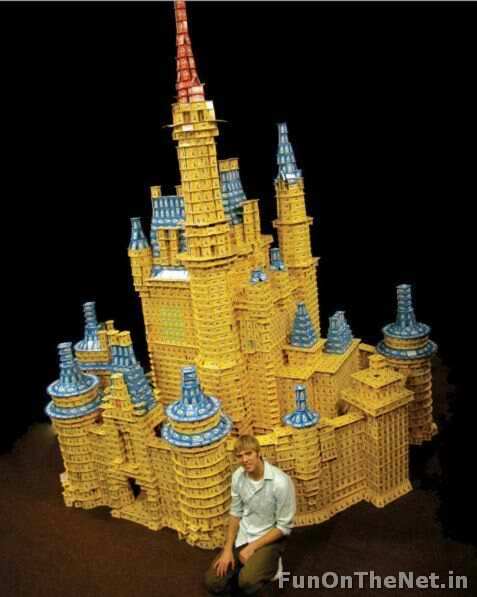 In fact, he duplicated many of the well-known landmarks worldwide such as New York skyline and Cinderella's castle. 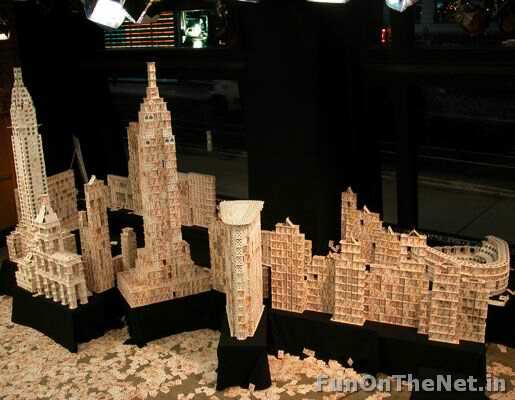 For over 30 years, Berg has been perfecting his art. 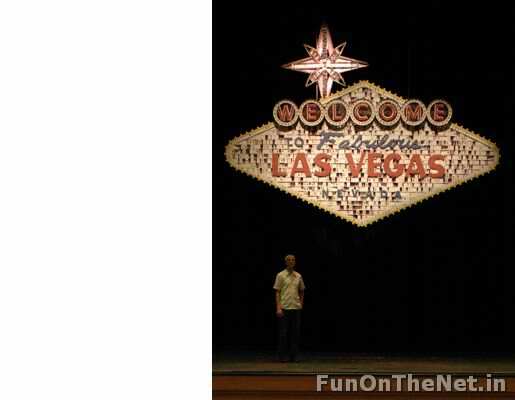 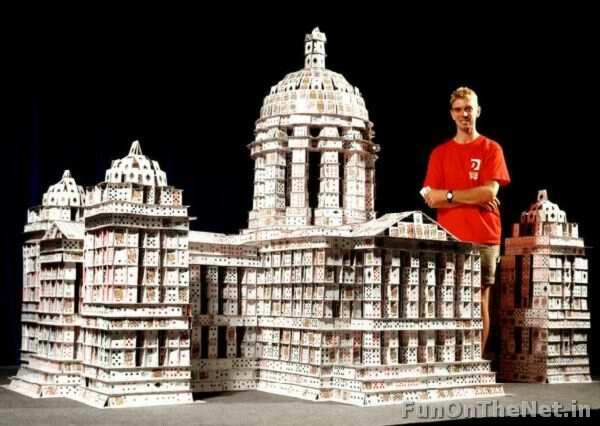 His largest work till date is a card recreation of the Venetian Macau Resort-Hotel. 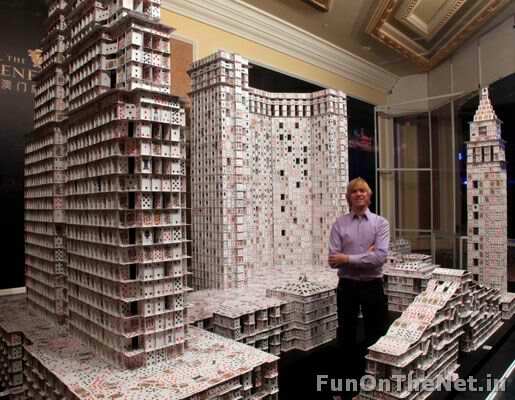 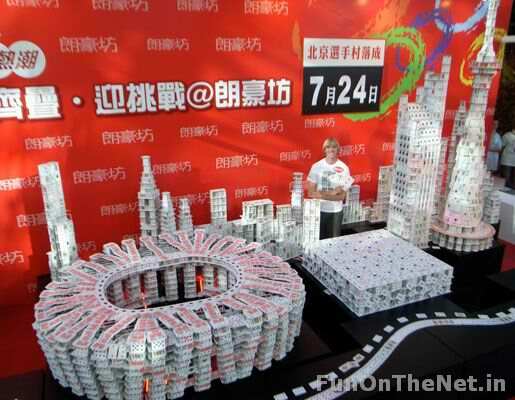 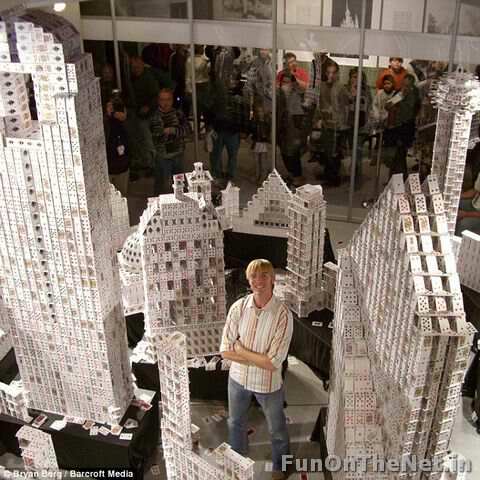 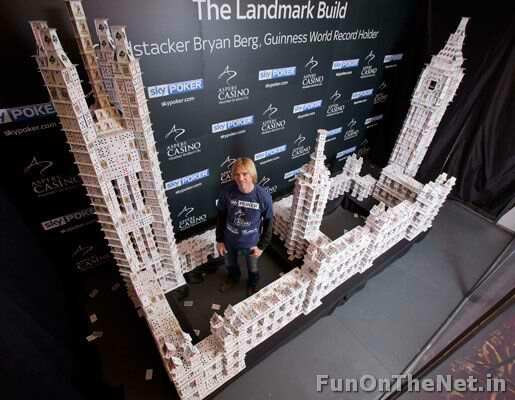 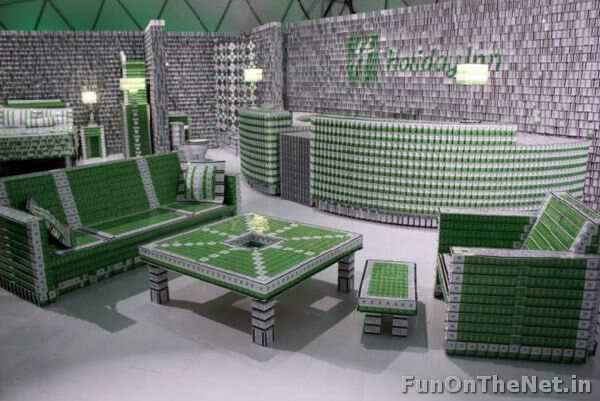 With this, he broke his own world record by using 4,000 decks or an amazing 219,000 individual cards, placed on top of each other over a period of 44 days.